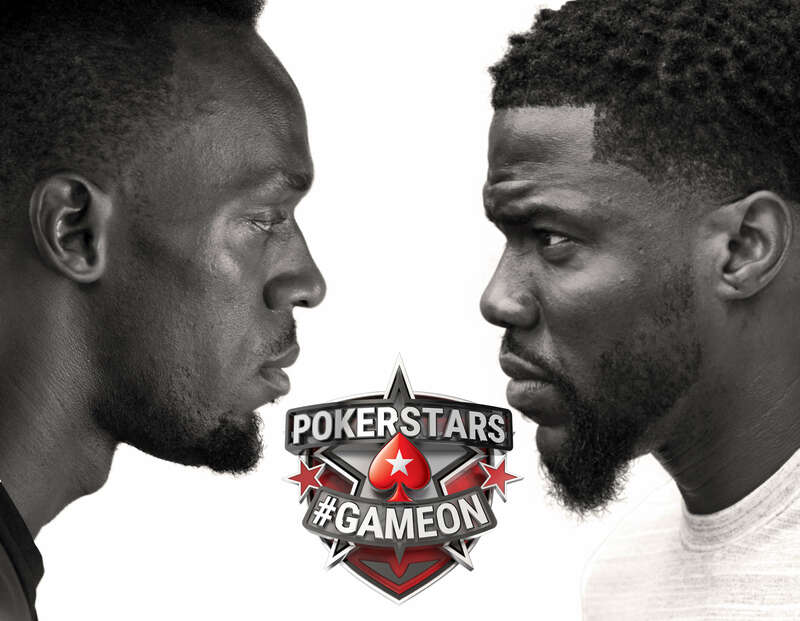 ONCHAN, Isle of Man – June 30, 2017 – The world’s fastest man, Usain Bolt, and the world’s funniest man, Kevin Hart, are going head-to-head to see who has the most maverick mind, in a challenge presented by PokerStars, an Amaya Inc. (Nasdaq: AYA; TSX: AYA) brand. The pair will be aiming to outsmart one another in the biggest social media battle of the year, starting today under the #GameOn hashtag. #GameOn sees the superstars face-off in a battle of wits using the metrics of their social media channels as scorecards, allowing fans to decide who wins each battle. Their rivalry will culminate in a live face-to-face battle at the poker table in January 2018 during PokerStars Championship Bahamas. #GameOn will embrace the core qualities and skills of poker with challenges to include reading people, bluffing and risk management. The rivalry between the world-record breaker and one of the biggest Hollywood stars first started four years ago when they raced each other on the basketball court at an NBA All-Star Celebrity Game – only for Kevin to outwit Usain. Their battle of wits is set to start again, this time on social media and follows on from the global success of #raiseit, a PokerStars campaign featuring football sensations Neymar Jr, Ronaldo Luis Nazario and Cristiano Ronaldo, as well as basketball star Dwyane Wade. The sporting heroes showcased their impressive sporting skills in a bid to #raiseit to the next level and out-do each other. The campaign was produced by London-based creative agency Gravity Road. To view the videos keep an eye on Bolt and Hart’s social media channels.